Dogs may be man's best friend, but cats are women's best friend, and we love to experiment with makeup to embrace the look of our feline companions. 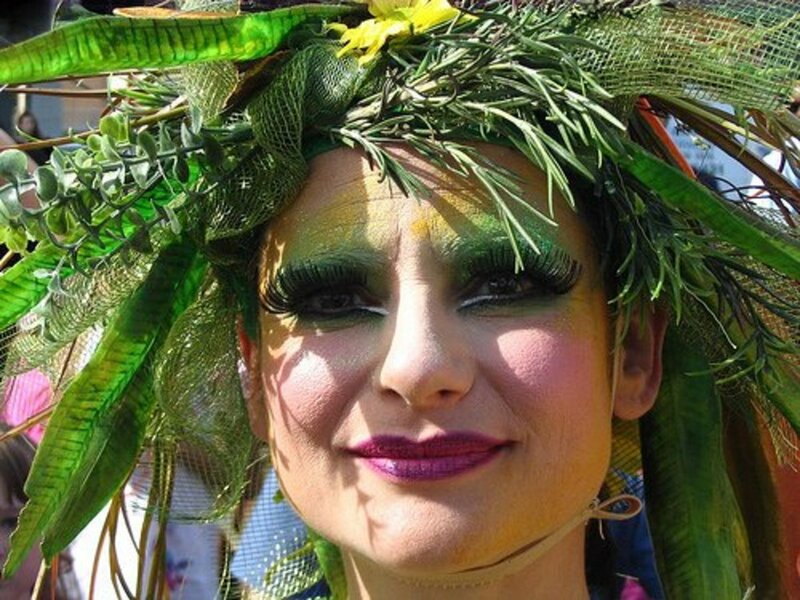 In this article we'll look less at the cat eye look that many of us use when going out in social situations, and more at the type of cat makeup we would use at a party, Halloween event, or cosplay. 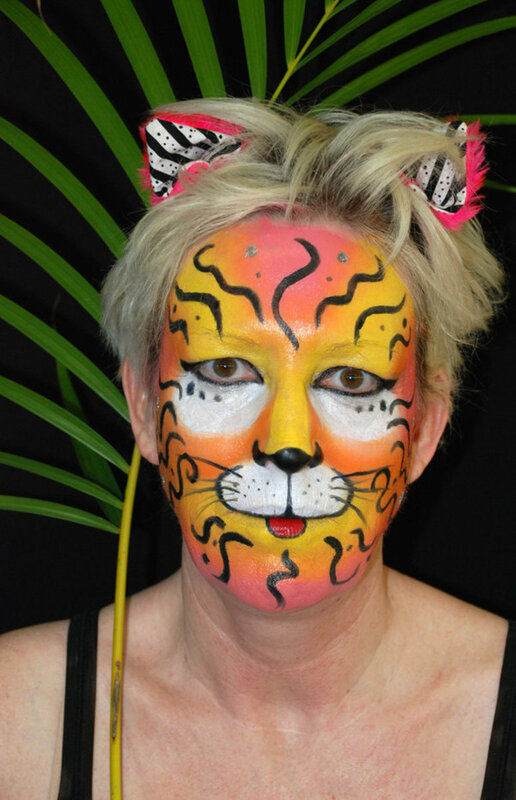 That means we're going to look at inspiration for combining makeup and face painting to create that wonderful and fun cat face that, when included with cat accessories or costumes, makes an awesome way to show up at a party or event. 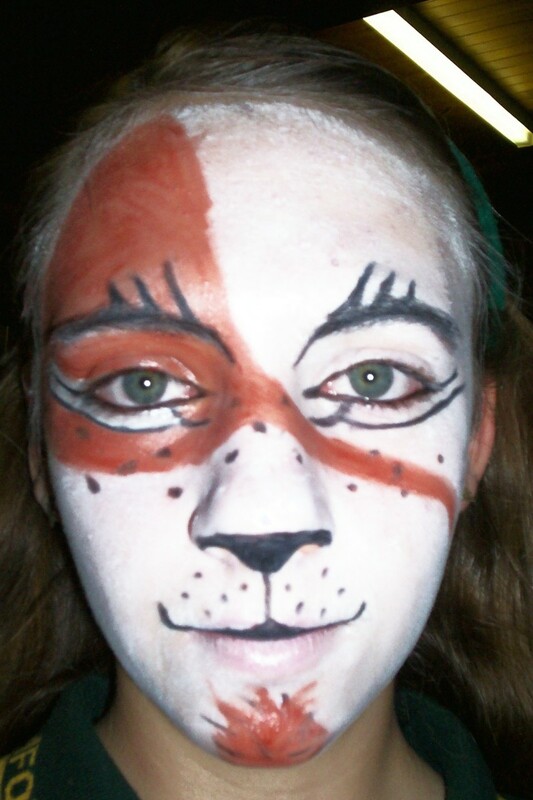 While most of this is for adults, I have included one video tutorial which shows how to paint a cat face on a child. Great fun. The faces of cats offer some fantastic material to mimic on our own faces, including the nose, upper lip, and of course, whiskers. We'll see a wide variety of cat looks in the photos below. Another thing those choosing a cat look do is recreate the various markings on the faces of cats. 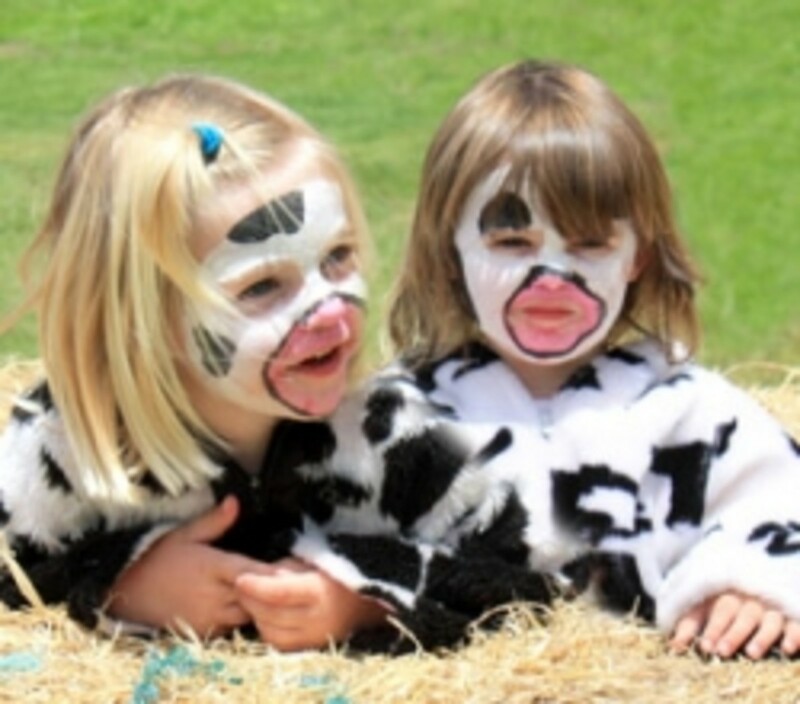 So there is not only the physical characteristics, but customized facial markings to complement it. Most people choose to have a white base with black design, although there are some exceptions, as you'll see in the videos and images. Of course all you have to do there is get some ideas on a design and use the particular colors you prefer. The caption is probably a little off, but I call cats that I see with the longer hair above the lip and on the chin: bearded cats. I like the interplay between the black outline and the white filler. It's somewhat subtle, but blends together to produce a great cat look. The only thing I don't like about it is the black in the middle of the forehead. I'm not sure why she chose to have the lines go vertical instead of keeping it horizontal, which would have looked much better. Still, a good cat face. One thing that surprise me with those choosing to create a cat face was relatively few decided to include whiskers, which I think look really cute, as you can see below. This is a great cat face, and along with the whiskers, my favorite part is the precious little nose. It adds a lot to the overall look. The only thing I would have done a little differently was to paint below her nose all the way down to the lip. It doesn't look bad, just a little odd. That's just a quibble though. It looks wonderful. I also like the way she colored her hair, which goes nicely with the color on the face. Here we have a really awesome cat face, obviously made as much as a work of art as something that would be worn to a special event. 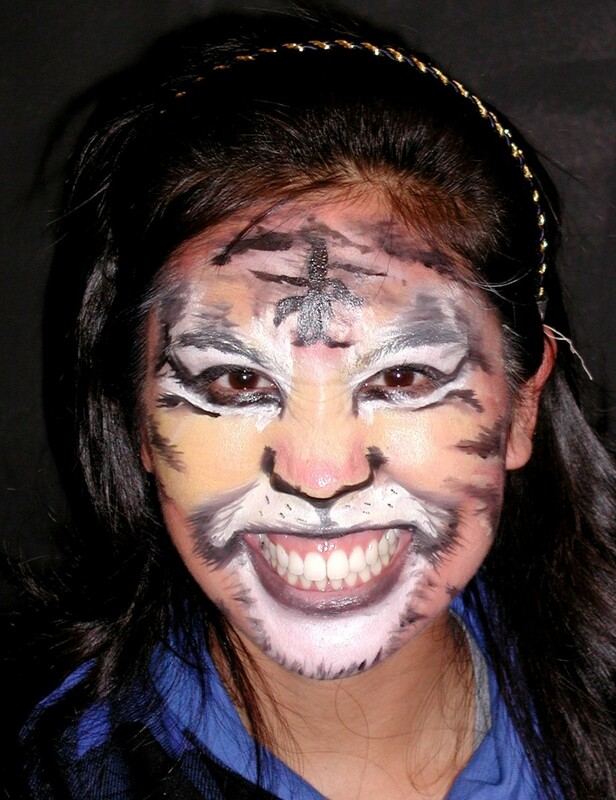 My absolute favorite part of this cat face makeup design is the area going from the tip of the nose down to the bottom lip, which is displayed as a little cat tongue hanging out. What fun. It's so cute. The wiggly lines around the face were incorporated as an artistic touch, but I think it would have been even better to leave them out. Even so, it's definitely a cat face that would could be worn without concerns about running into a similar cat face at an event. Even though this cat face is the simplest of those in this photo gallery, it has a lot of good things going for it, especially with the black lines and how they pop out from the white base. 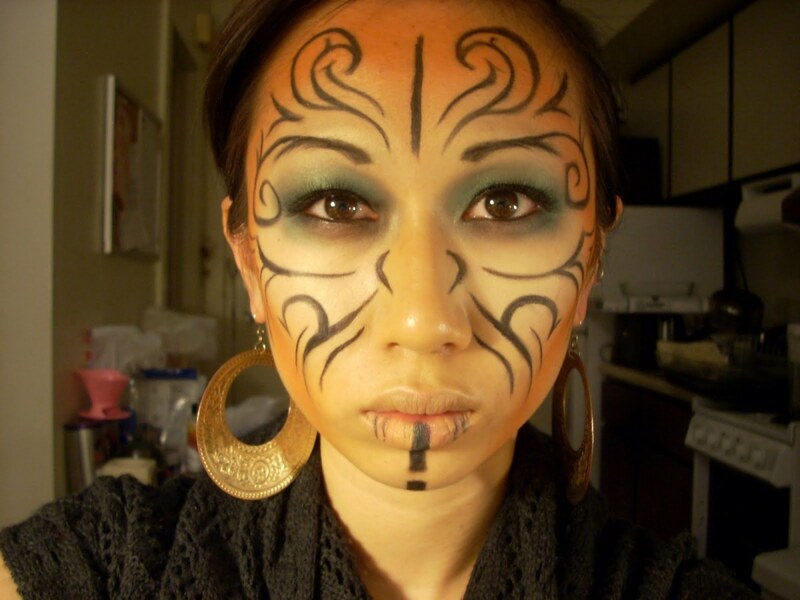 This is a great look for those who may not want to spend tons of time creating their cat face, but still want one that looks terrific. This one, in my opinion, has all that going for it. It's not the darker markings that I'm impressed with, but the nose and mouth were done. How simple to accentuate the upper lip of a cat with those simple line and whited out lower lip. It works very well. The cat face below is a hard one to describe, as it's very unusual and professionally created. What really stands out is the way the white, gray and black makeup lines are used to create the illusion of etched lines, especially above the eye brows, below the eyes, and on the cheeks. Nice effects. I also like the way the nose and below it are designed, although I wish she was looking straight at us in the photo with her head up. It also looks like the cat face was designed with a wig in mind, based upon her hair being up and the bare skin around her face. It would have been cool to see how it looked with her wearing whatever it was she had in mind. That was a great group of ladies with cat faces, wasn't it. The endless variety of cats and their unique and interesting looks leaves us in a plethora of designs to choose from. 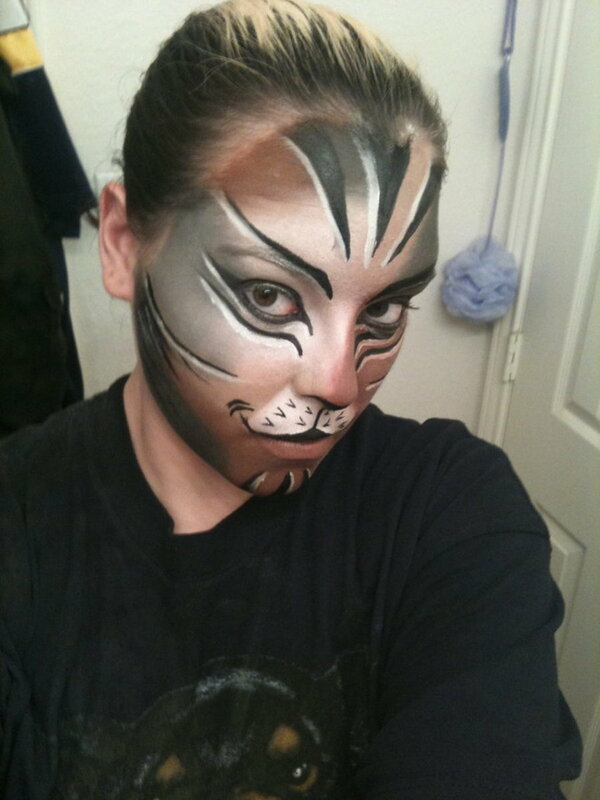 You can see from these cat makeup photos and videos why it is such a popular makeup theme. I know I was inspired by these many wonderful cat looks, and my head is already generating a bunch of ideas for this year. How about you? Awesome hub! The images really pulled me in I was looking at my feed and I was like "whoa". What an excellent job you have done on a topic I absolutely could not keep myself from clicking through to. I am going to email this to all my friends. They will LOVE it! Thanks.